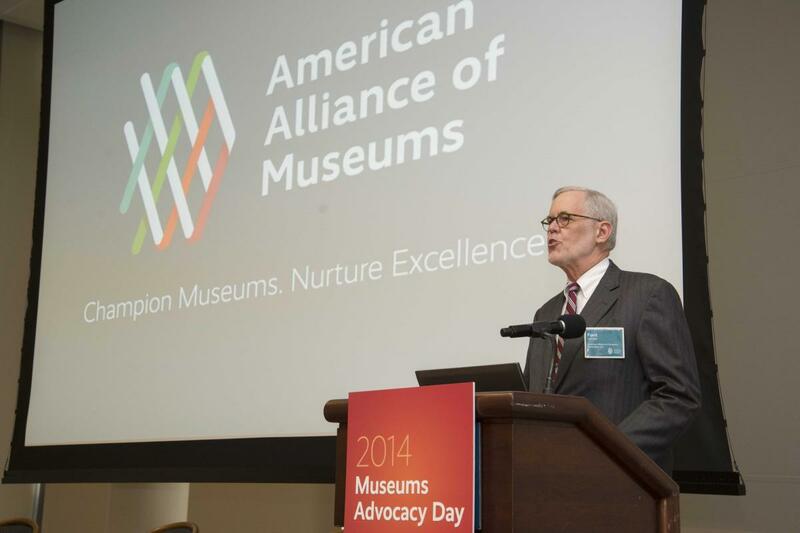 Ford W. Bell began his tenure as president and CEO of the American Alliance of Museums, in Washington, D.C., in June 2007 and retired from that position in 2015. Bell has a longstanding relationship with the museum community. He helped raise $103 million as co-chair of the Minneapolis Institute of Arts’ “Bring Art to Life” capital campaign, completed in 2006, and he served as chair of the organization’s board from 2003 to 2005. He also served on the Advisory Board of the James Ford Bell Museum of Natural History at the University of Minnesota from 1983 to 2007. Currently, he serves on the boards of the Minnesota Historical Society and the National Music Museum at the University of South Dakota. Bell has more than forty years of experience as a nonprofit executive, board chair, donor, trustee and educator. From 1995 to 2005, he served as President and CEO of the Minneapolis Heart Institute Foundation at Abbott Northwestern Hospital, a prominent clinical cardiovascular research organization and a nationally recognized provider of community heart health education, He most recently served as President of the Hennepin Health Foundation at Hennepin County Medical Center in Minneapolis from August 2015 until retiring in April of 2018. A board-certified veterinary oncologist, Bell served on the staff of the University of Minnesota’s College of Veterinary Medicine, where he taught and did clinical research in comparative oncology, from 1982 to 1996. He served as trustee and elder at Westminster Presbyterian Church in Minneapolis, and co-chaired that institution’s $16 million capital campaign. From 1993 to 2007, he served as chair of the James Ford Bell Foundation. An educator for much of his career, Bell also served as a trustee of Connecticut College in New London, Connecticut, from 1998 to 2007.